Cosmologists are discovering, thanks to breakthroughs in the science and the technology of astrophysics, that the very first seconds, even milliseconds, after the Big Bang hold answers to many of the questions about the origins of the universe. We now know a great deal about the formation of stars and galaxies, and there is very high confidence in the theory of the Big Bang. But until recently, we knew virtually nothing about what happened immediately afterwards. In At the Edge of Time: Radically Rethinking the Origins of Our Universe, Dan Hooper proposes that what we are learning about that crucial instant has brought us to the verge of a cosmological revolution. 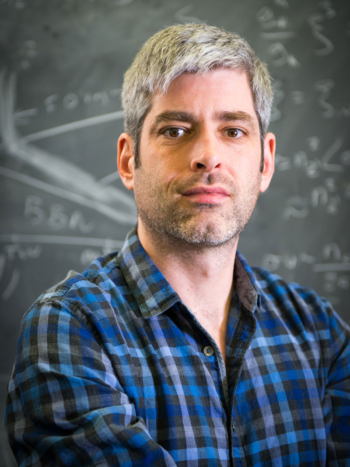 An astrophysicist at Fermilab, America’s premier particle physics laboratory, he is very close to the research that is revealing answers to some of the most interesting, and perplexing, questions about the nature of the world in which we live. In The Edge of Time, he focuses on what we know – and what we are still striving to understand – about the most intriguing and mysterious period in our universe’s history.